The AAA Foundation for Traffic Safety has issued a study that demonstrates 60% of drivers in the United States feel less safe driving past large commercial trucks than they do when passing other cars. 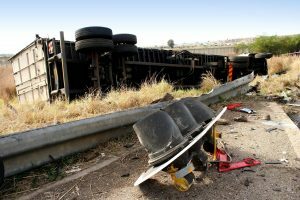 C. 14% said trucks can drift or swerve out of their lane of travel, causing collisions, injuries and death. The survey found that 26% of adults would feel safer if the trucking industry spent more money on safety technology. AAA Foundation for Traffic Safety is the nation’s largest monitoring and leisure travel organization. The Foundation is committed to the reduction of trucking collisions, injuries and fatalities.